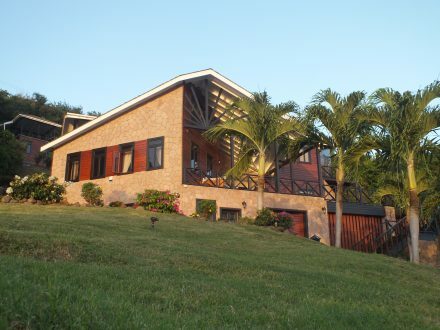 This prestigious villa, positioned in the heart of the highly desirable Cap Estate area, is located on a hillside facing south-west with a magnificent view of the Caribbean Sea, the golf course, Rodney Bay, the surrounding mountains and in the far distance, the World Heritage site of the Pitons. 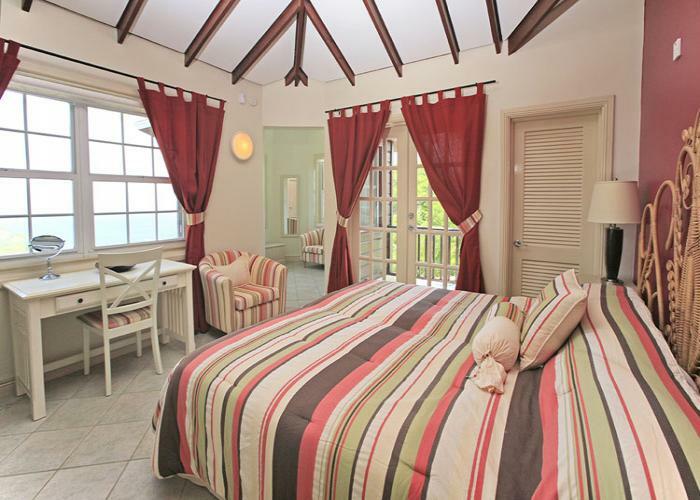 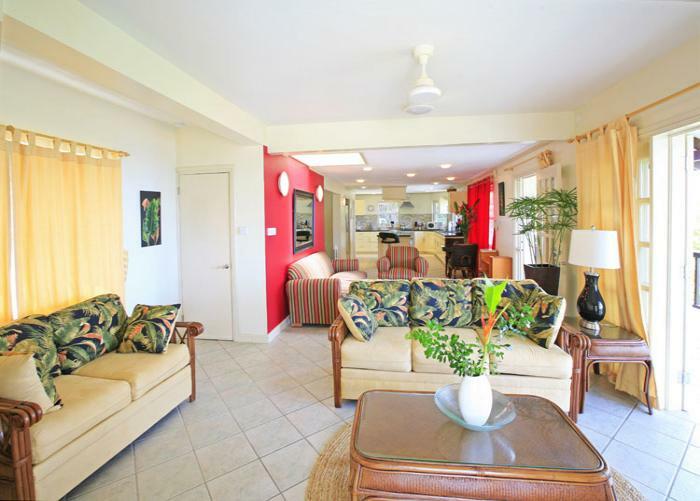 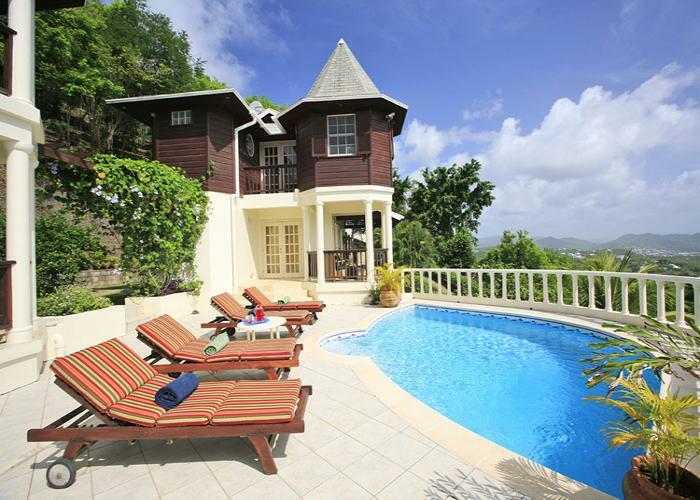 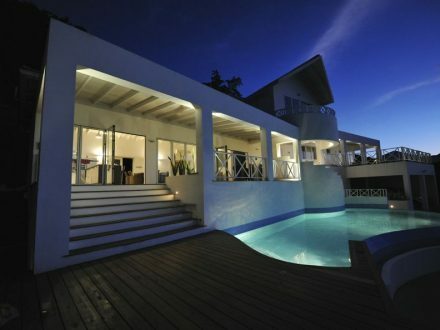 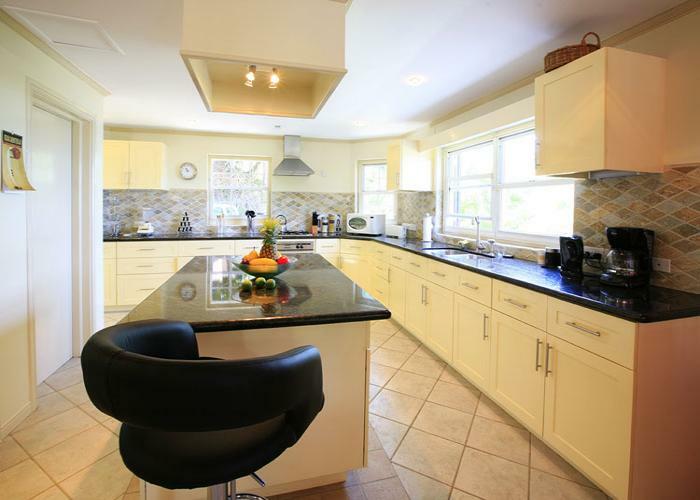 The villa was purposely designed by a well-known St. Lucian architect. 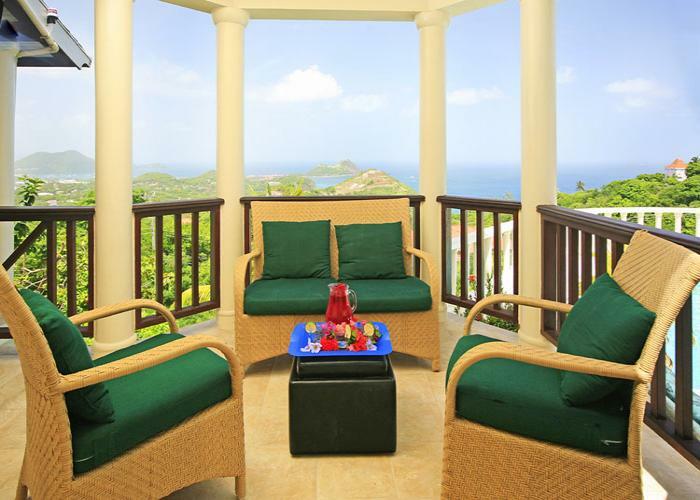 The elevated position allows one to enjoy magnificent sea views and spectacular sunsets from most areas of the property. 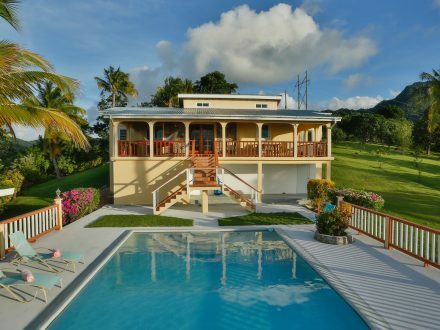 Evergreens have been strategically planted to maximize the privacy and serenity of the property. 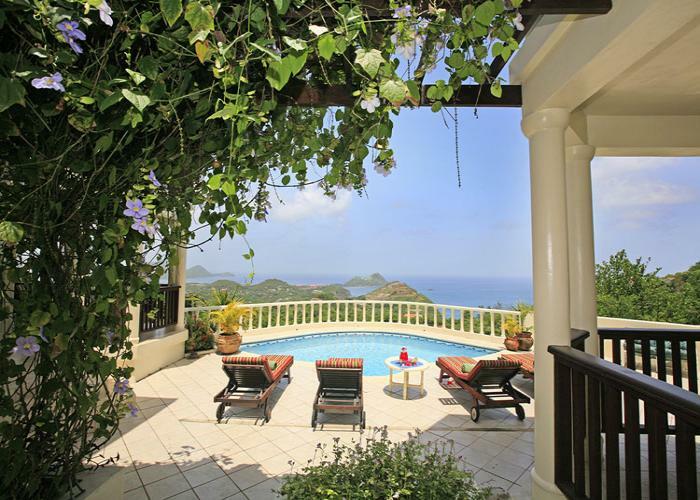 This home also borders the exclusive residential area of Mount du Cap adding to its privacy and security. 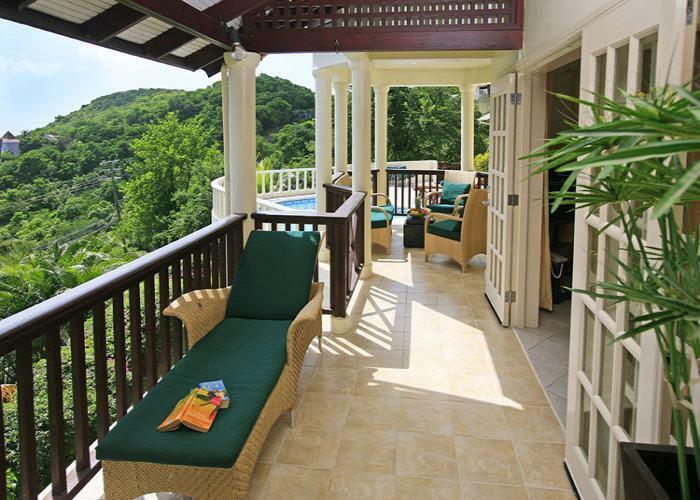 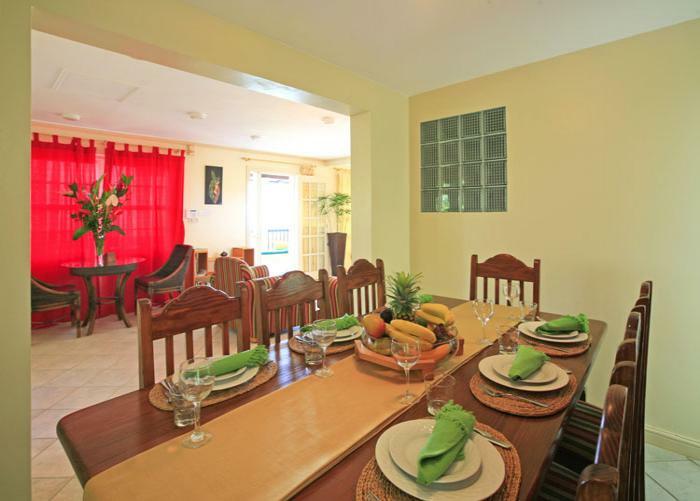 The Villa features an electric gated entrance and skillfully landscaped grounds. 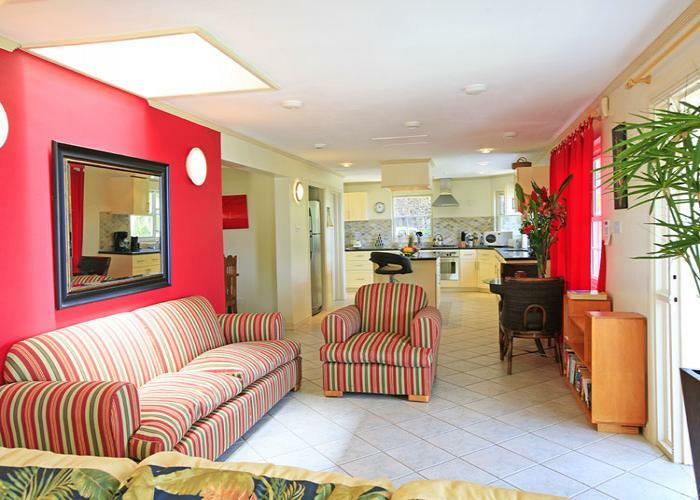 Leading from a decked footbridge from the car port, one enters into a cool, open plan and bright living and dining area which then leads to a spacious fully equipped kitchen. 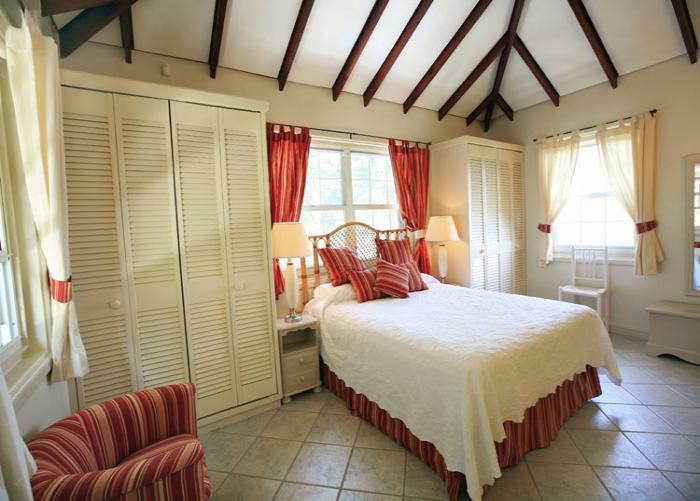 The accommodation is tastefully decorated and well-presented throughout, with high quality fixtures, fittings and materials. 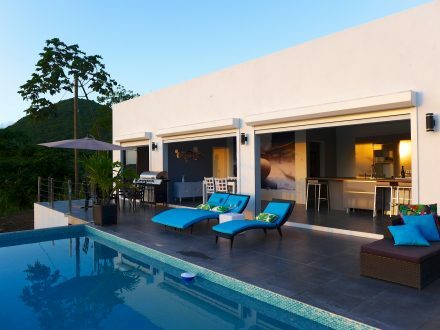 The extensive terraces are accessed from the principle living areas of the villa and lead to the feature swimming pool and back yard for extended entertaining. 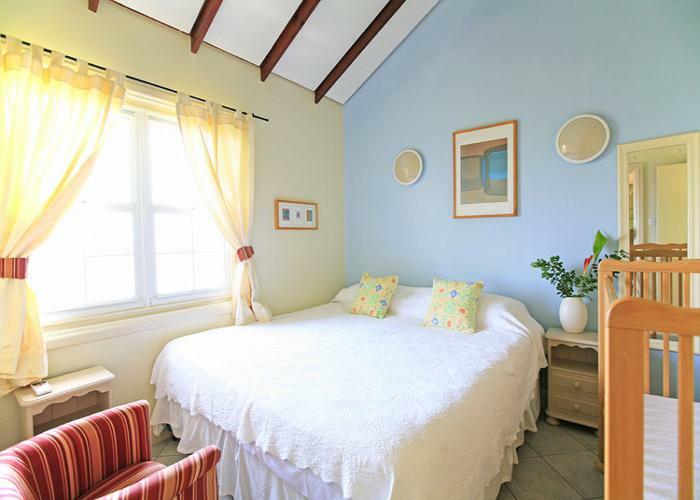 The first floor accommodates three ensuite bedrooms, with the master bedroom featuring a private balcony and sitting area with magnificent views. 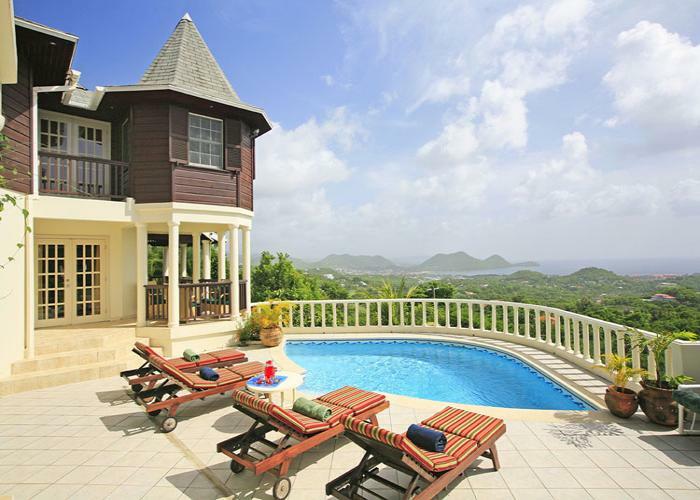 At the back of the villa is a winding path with steps, offering private seating areas and a more commanding view of the neighboring amenities. 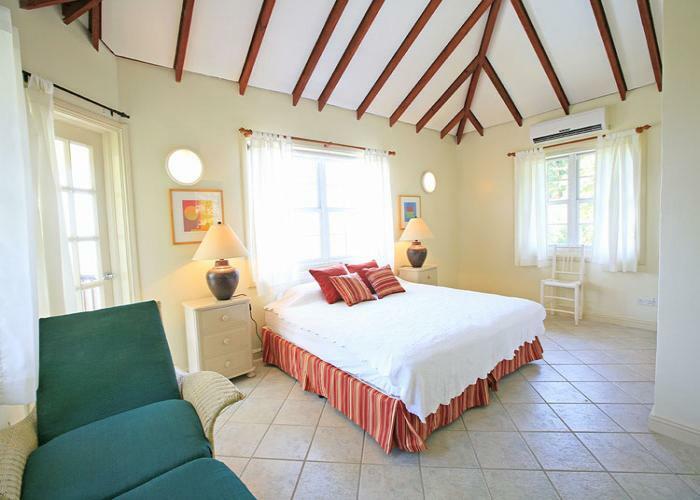 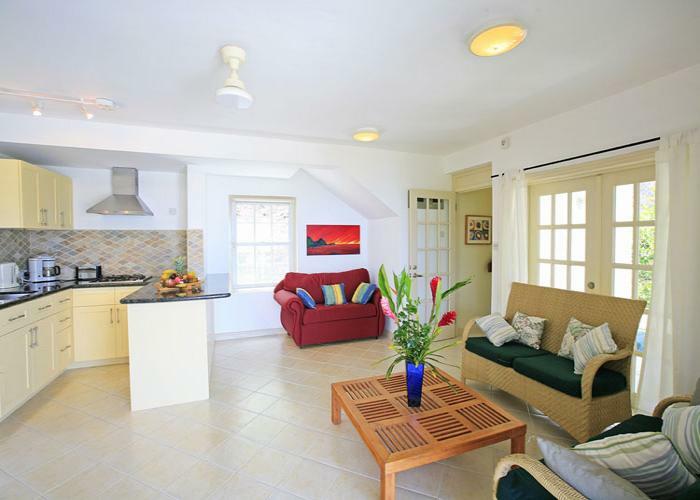 A beautiful cottage is located just a few meters from the main house and is ideal as guest/in-laws quarters. 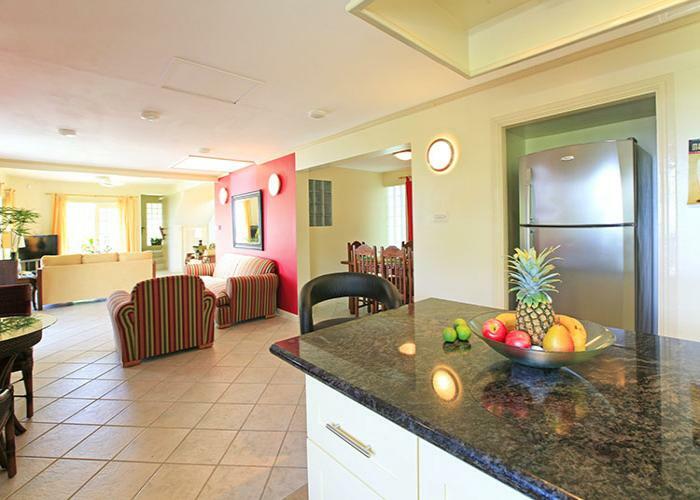 It features a bedroom and a bathroom and a main space boasting a kitchen, living and dining room. 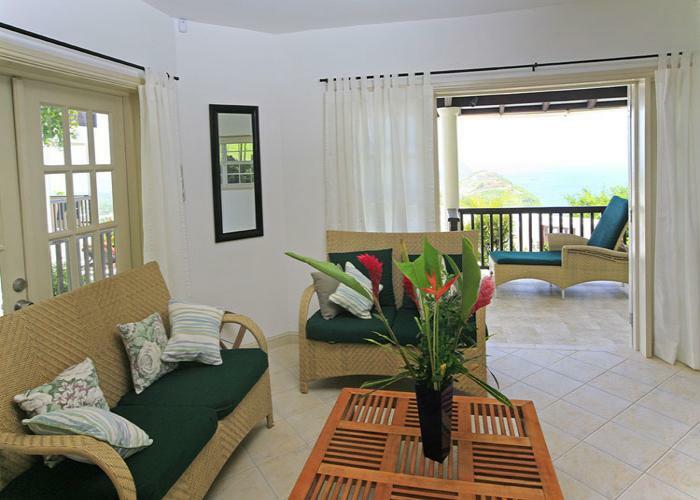 A 10-minute drive away, lively Rodney Bay has a 253-slip marina, grocery stores, boutique shopping and a variety of restaurants and four sandy beaches to choose from; Reduit, Cas en Bas, Five Dollar Beach and Pigeon Island. 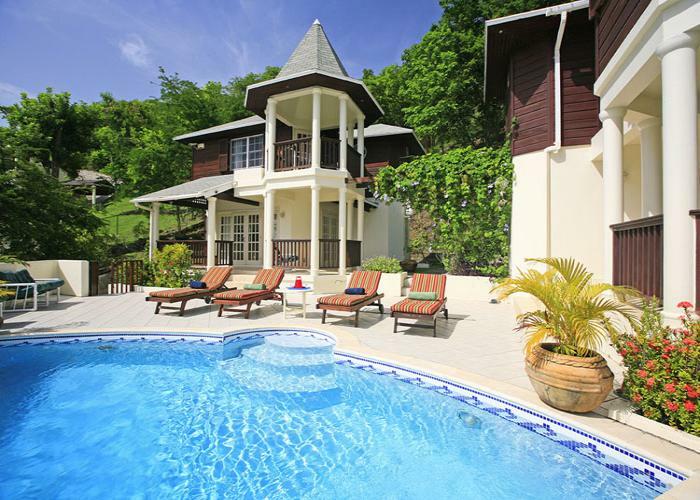 The house is an exceptional holiday or winter home, and has a proven and successful rental history for those looking for an investment property. 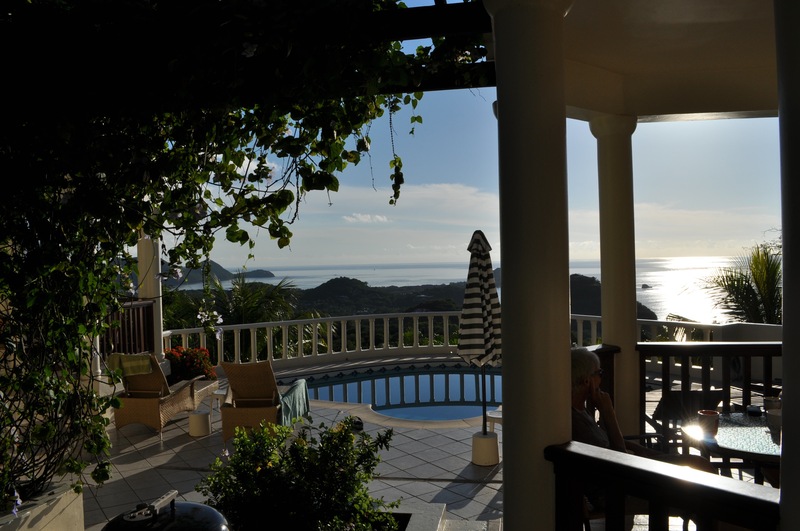 The owners spend 20 weeks a year in property, so there is scope to increase rental income dramatically for a prospective buyer.